With TomTom announcing Foursquare integration to add to Facebook and Twitter is it a sign that manufacturers are struggling to add new functionality? The younger generation of users will no doubt welcome the added social networking features but what else can they offer that isn't already there? Better map data and improved handling of errors will still be at the top of our lists but what core functionality would you like to see. Post your feature wish lists in our forums. 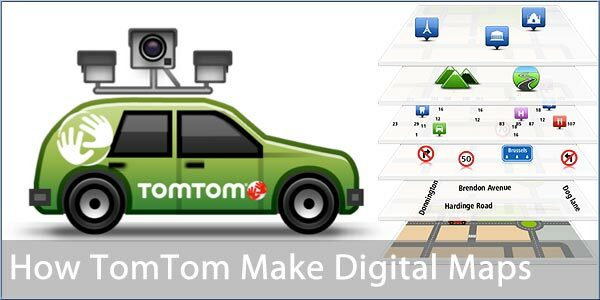 This is the first in a series of articles that examines the intricacies of creating and maintaining digital maps by TomTom. Here we look at Map Geometry, how the roads are discovered and the basemap created. TomTom's digital map consists of a series of layers. It starts with the basemap which defines the geometry of the roads, the next layer provides the map attributes (names, turn restrictions etc), then on top of that comes community contributed content, then we have the 'real road speeds' provided by IQ Routes, and then at the top of the stack is the TomTom HD Traffic. I think it’s safe to say that many of us are struggling financially at the moment and, while interesting to read, there’s not much point reviewing top-of-the-range, flagship devices. Especially when perhaps 90% of the audience aren’t in a position to splash out on such items. 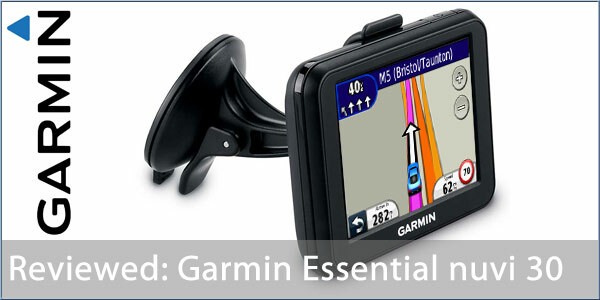 It was for this very reason that we asked Garmin for a nuvi 30 to review. With an RRP of £79.99 it's a lot more affordable than their £279.99 nuvi 3590LMT. So, just what do you get for your £80? Just how ‘basic’ is their entry-level nuvi 30? Read on to find out! 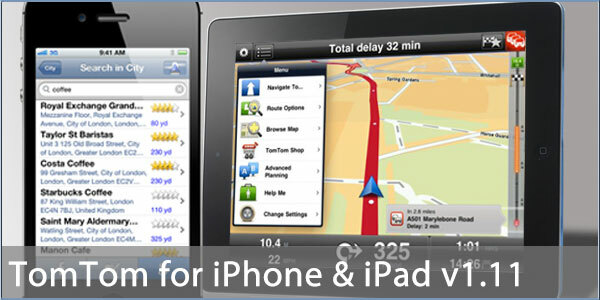 TomTom have released the latest update for the iPhone and iPad navigation app. Available as a free update for existing customers, v1.11 adds support for Foursquare allowing users to search for and navigate to Foursquare places as well as check in on arrival. Other improvements include the latest map data, an updated navigate to contacts function, a navigate to copied addresses feature, a customisable menu layout and the ability to quickly and easily change the route type and have the calculated route recalculated. 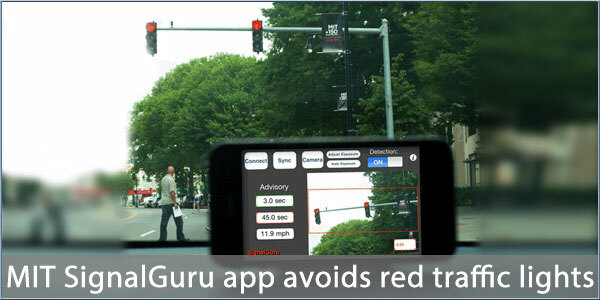 An MIT (Massachusetts Institute of Technology) research project is using images captured by dashboard mounted smartphones to collect information on traffic light patterns. The data can then be used to advise drivers when to slow down so that they do not have to sit at red lights and waste fuel. In tests, the system helped reduce fuel consumption by 20 percent. another possible use is its incorporation into satnav guidance applications. 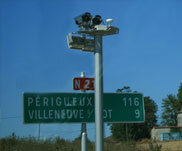 The system can handle traffic light systems that operate on both fixed and continuously varying schedules. The data collected is shared amongst other users of the app to provide a continuously updated data stream of traffic light patterns. 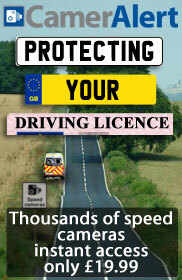 This week we have 71 static and mobile speed cameras added, removed or modified in the live database. brian36, CAF_0718141712, donmc, londis, OldDogUK, sattyb. Anita, bloby, bw2020, CA_0225134108, CA_0227041230, CA_0528005243, CAA_1130221413, DennisN, Gardela, garik, GPS_fan, jvlmp, PhilGarmin, Tomo, vdeknock, wazzzzupmate. If your subscription is due to expire, please note that PayPal subscriptions auto-renew and if you do not wish to continue you must cancel it via your PayPal account. A post in the forums explains how to check (see here). 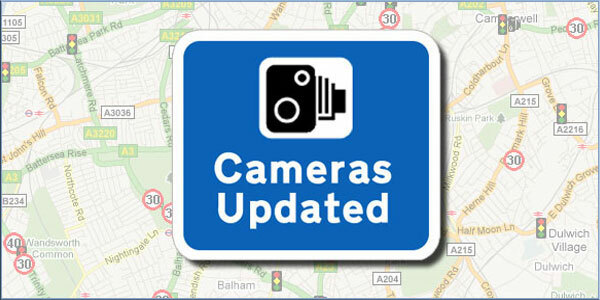 We continue to work on some great improvements for CamerAlert which we're sure you'll all love. v1.3.9 for iOS was approved yesterday evening. This update fixes a problem with the 'All Clear' message not being issued when map view set to near and updates the icon used for 'also run' for the TomTom Navigator app. The icon now reflects the new TomTom icon. 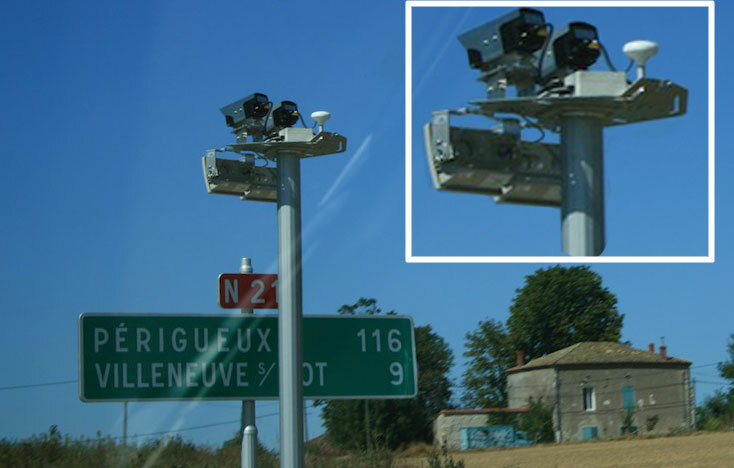 And finally, thanks to Newsletter Subscriber Christian Mahne for sending us a picture of the new French average speed cameras. In a bizarre case, an Australian court is being asked to consider if trigger the find my iPhone feature to locate a stolen iPad could be a case of 'trespass by radio wave'. DailyRoads Voyager is a free Android app that acts like a black box video recorder. Placed in a cradle on your windscreen it will record the view ahead in a continuous loop, deleting older files as necessary. Files are time and geo stamped. Network Rail and Garmin have collaborated to produce alerts as a driver approaches a level crossing. Network Rail hope that the warnings will help reduce the number fatal accidents and near misses at rail crossings. UK price comparison site Confused.com has launched a smartphone app. By tracking speed, driving smoothness, location and traffic congestion, MotorMate can calculate a score which can then be compared with the RoSPA benchmark score for gold standard safe driving. Social Network fans can follow us on Twitter and via our Facebook page. This Newsletter email address IS NOT monitored. For subscription and other account related issues you can contact us via our on-line Support Ticket System. For ALL other support and product queries please use the forums.